Stockland is Australia’s largest diversified property group. We own, manage and develop shopping centres, logistics centres, business parks, office buildings, residential communities and retirement living villages. 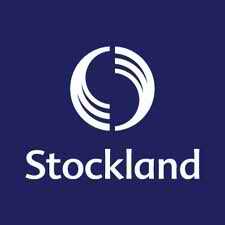 Stockland was founded in 1952 with a vision to “not merely achieve growth and profits but to make a worthwhile contribution to the development of our cities and great country”. Today, we leverage our diversified model to help create thriving communities where people live, shop and work.